Wage growth accelerated to 2.9 percent year over year, a sharp rebound. I think there are two stories to tell here. 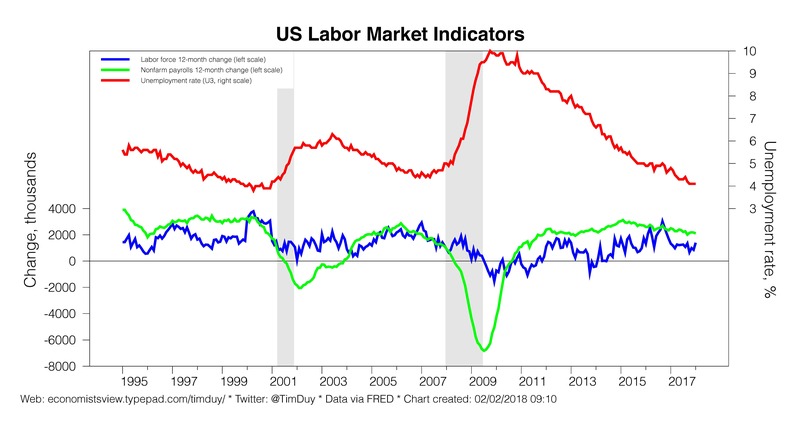 First, 2.9 percent by itself isn’t cause for concern that labor markets are overheating. If inflation were at 2 percent, then real wage growth would be 0.9 percent, which is pretty much in line with productivity growth. In other words, this isn’t an inflationary reading on wages. Moreover, hours worked slipped, setting the stage for a productivity boost in the first quarter. Higher productivity growth, even just 0.5 percentage points, would help support nominal wage acceleration in a continued low inflation environment. The second story, however, is arguably more disconcerting for bond traders. 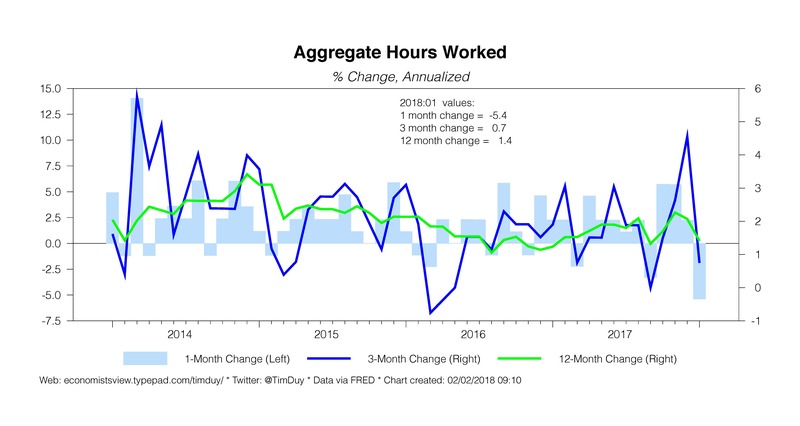 Annualized wage growth in four of the last five months exceeded 3 percent. In two of those months the gain was more than 5 percent. The three-month moving average is a 4.1 percent gain. That marks the fastest three-month gain since 2008. 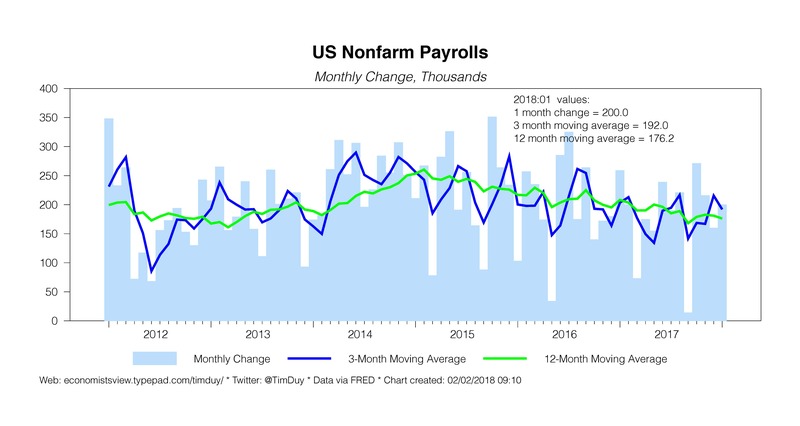 This solid pace over the last several months suggests that the January number is more than just higher minimum wages. If this trend continues, the Fed will tend to see such numbers as evidence that the economy has pushed excessively past full employment. 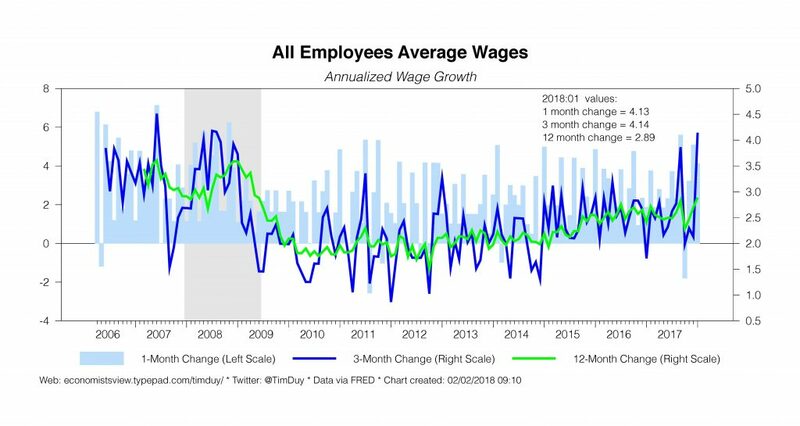 Wage growth acceleration indicates an overheating economy. The risk here is that the Fed turns hawkish and accelerates the pace of rate hikes. This puts upward pressure on the yield curve in the near term while in the medium term supports renewed flattening as the Fed tightens policy to restrain growth. The risks of a policy error rise, and with it the risk to corporate profits. Wage growth indicates productivity growth is accelerating. Under this circumstance, the neutral rate is likely moving higher and the Fed will feel compelled to chase that rate. That argues for an upward shift of the yield curve. Higher real rates would likely pressure asset valuations more broadly, weighing on equity prices. Wage growth acceleration eats into profit margins. This is a complicated space for the Fed. Margin compression would weigh on equity prices and financial conditions more broadly, which would tend to ease pressure on the Fed to hike. On the other hand, central bankers would be wary that eventually firms would be forced to pass on higher costs. In other words, margin compression would provide only temporary relief from the inflationary pressures of an overheated economy. The Fed would thus need to accelerate the pace of rate hikes. Under any of these circumstances, I think Gavyn Davies at the Financial Times is correct that the end of deflationary bets means the term premium has moved higher as well. 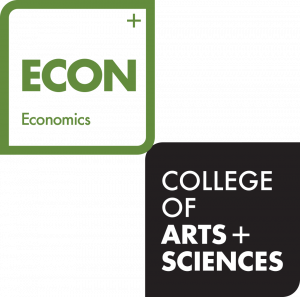 Altogether then what it looks like is that the economy is shifting into a new equilibrium and with it the constellation of prices (goods, assets, interest rates, exchange rates) are all shifting as well. And while that shift occurs there will be periods of uncertainty that will be negative for dollar assets. That uncertainty will remain until there is more clarity with regards to the path of economic activity. If all of this wasn’t enough, market participants are also watching for an increased supply of US Treasury debt plus a simmering political crisis in the US that looks increasingly likely to boil over in the weeks ahead. My sense is that much of the shifting is cyclical rather than secular and as such I don’t see ten-year yields jumping to 4 percent and instead expect much more resistance as 3 percent is crossed. That said, I can certainty understand where market participants are wary about reaching out to catch that falling knife. Two central bankers spoke up during last Friday’s sell off. San Francisco Federal Reserve Bank President John Williams said that the economic forecast remains intact and hence the Fed should maintain the current plan of gradual rate hikes. He does not think the economy has “fundamentally shifted gear.” For what it is worth, it is my impression that Williams is slow to update his priors. His colleague Dallas Federal Reserve President Robert Kaplan also retains his base case of three rate hikes in 2018, but opened the door to more. 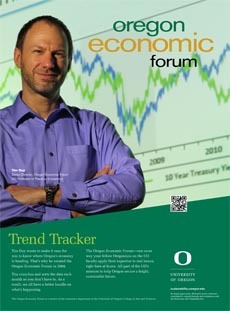 My sense is that Kaplan is sensitive to the yield curve and will tend toward chasing the long end higher. Also, if the economy is shifting gears, watch for St. Louis Federal Reserve President James Bullard to warn of an impending regime change in his model and with it a possible sharp upward adjustment of his dot in the Summary of Economic Projections. Bottom Line: If as I suspect much of what we are seeing in the economy is a cyclical readjustment, then long term yields will likely reach more resistance soon while short term yields will continue to be pressured by Fed rate hikes this year and beyond. If the Fed turns hawkish here they will likely accelerate the inversion of the yield curve and the end of the expansion (this could be the ultimate impact of the tax cuts – a short run boost to a mature cycle that moves forward the recession). If a more secular realignment is underway, long (and short) rates have more room to rise. It is reasonable to be unable to differentiate between these two outcomes as this juncture.